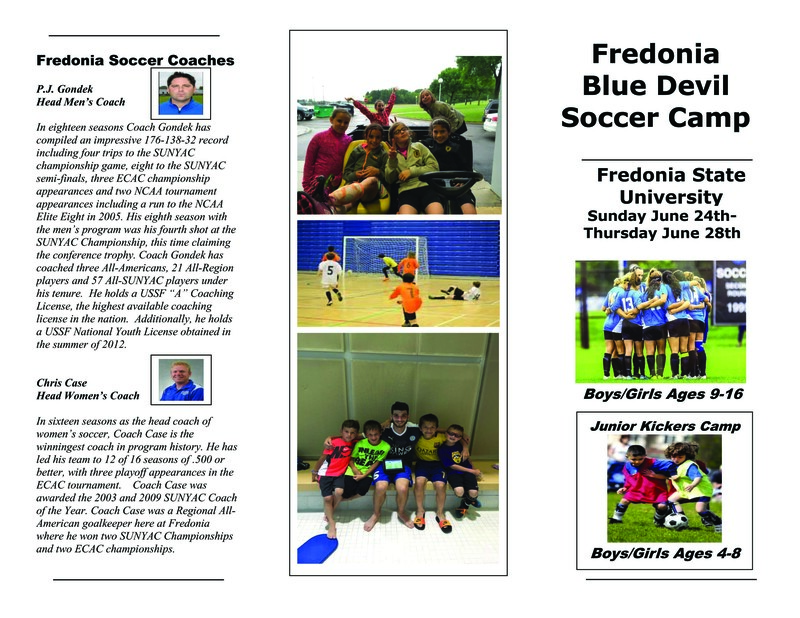 The Fredonia Blue Devils are excited to announce the dates for this year's Soccer Camp. The link to download the registration form is below. 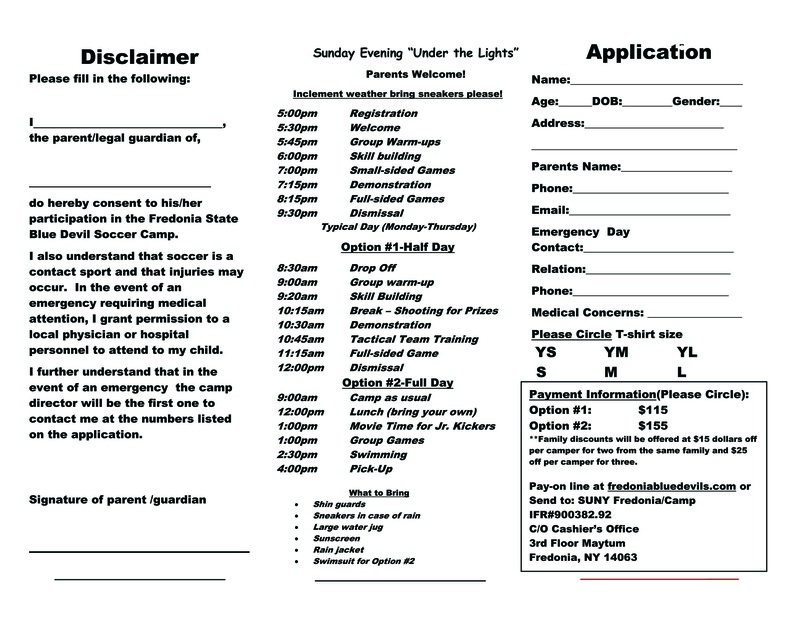 The form can be mailed to the address on the form or participants can be registered online here. This is a great soccer opportunity. Please take advantage!